It was machines like the 250cc B2 that helped BSA build their reputation for rugged, reliable motorcycles. But these little singles prove that dependable definitely doesn’t have to mean dull. 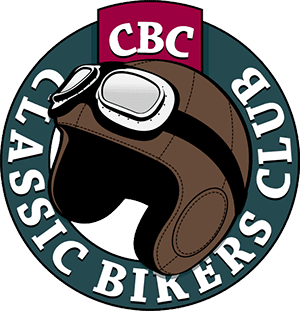 It was during the 1930s that BSA cemented their reputation for building dependable motorcycles. Of course this was largely through design, but also a significant part was due to necessity: the 1929 market crash and the global depression that followed would hit both supplier and customer hard – long gone were the extravagance, optimism and technological leaps of the 1920s and in their place came the need for simplicity, low cost and reliability. belt-tightening began, production at Redditch ceased and the remaining workforce was sent back to Small Heath. 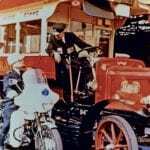 A survival strategy was quickly implemented with the emphasis on low cost, lightweight models and supply to Police and Post Office – the large order books and guaranteed income offering a much more reliable revenue stream than showrooms. The brakes were put on R&D – no OHC engines, rear springing or other fancy frippery here – instead the order of the day was just simple, rugged designs that would be cheap to manufacture, buy, run and maintain. 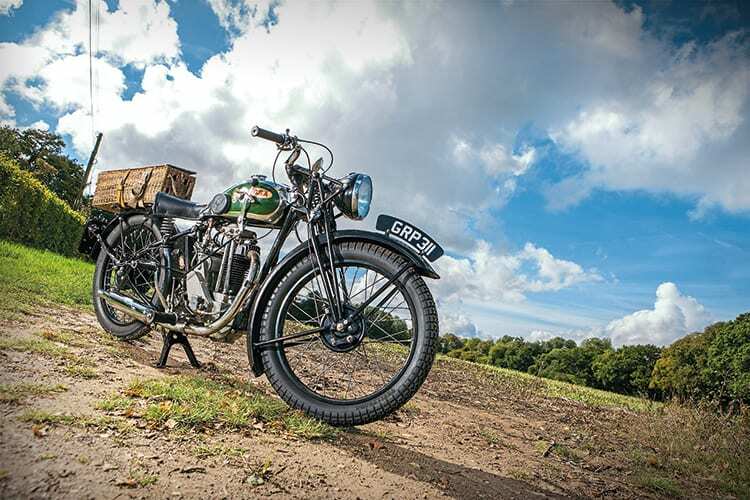 That’s not to say development of larger capacity machines ceased altogether – this was the decade that gave us the Gold Star – and an equally significant part of the plan was to ensure BSA’s more sporting models would remain competitive and desirable. 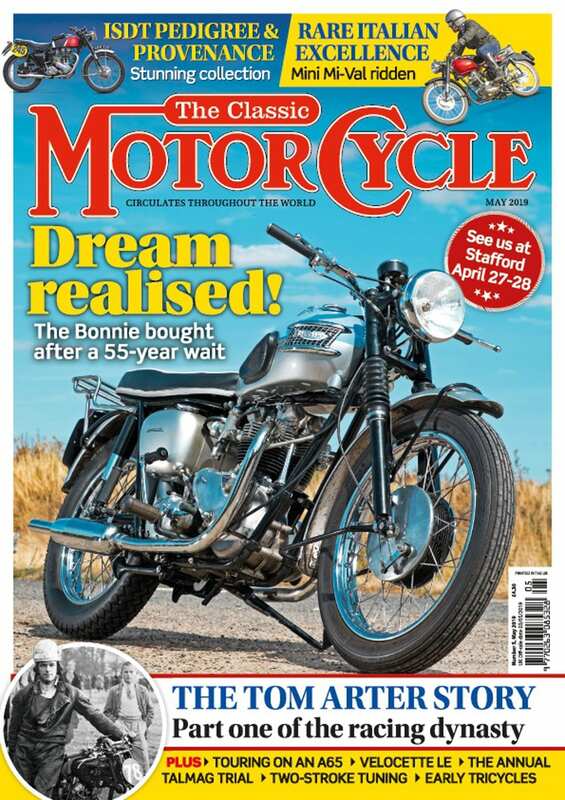 So it is no surprise that the B35-2’s brochure isn’t one that contains much fanfare or claims of high speeds, razor sharp roadholding or race pedigree, BSA instead choosing a suitably practical pitch: “…a model for those who want a machine suitable for solo and pillion riding and which combines a snappy performance with remarkably low running costs”. The specification sheet lists no fancy features or technical innovations either, just a good dollop of tried and tested components and construction. Power comes from a 249cc, overhead valve single, with a 63x80mm bore and stroke, detachable cylinder head and a 2.49hp output – the fashion for slopers had waned by then, so it sits bolt-upright in the frame. Lubrication is taken care of by a Pilgrim total loss pump, incorporating a sight feed. The big end runs on roller bearings, the piston above it is of aluminium alloy and boasts a slotted scraper oil control ring. The valve gear and springs are exposed and need to be lubricated frequently with a grease gun. Sparks come from a Lucas Maglita (the example here has been converted to Magdyno at some stage in its life), and the ignition advance is controlled by the left handlebar twistgrip. An Amal carb supplies the fuel. 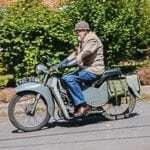 Drive is transferred via a dry multi-plate clutch to a BSA three-speed constant mesh gearbox. Gears are selected by an inclined, tank-mounted lever of saddle design and holding two gallons of petrol and three pints of oil. It came chromed with the now synonymous green painted panels. The whole thing rolls on a rigid frame, adjustable girder-type forks and 3.00-19 tyres. SLS brakes and 5½in diameter drums – the front operated by lever on the handlebar, the rear by foot pedal – do the stopping. Both feature finger adjusters. The front brake lever features a parking brake button or ‘ratchet lever’. ‘up-selling’ accessories and add-ons, the level of equipment that came as standard with the B35-2 seems high to me – perhaps they figured a 250 buyer wouldn’t have the inclination or the means to go mad with the optional extras. The brochure lists: “Terry spring seat; detachable carrier; metal toolbox with a complete set of tools; inflator; Lucas 6V lighting set; high frequency electric horn; licence holder”. The aforementioned petrol tank came with knee grips fitted, its chrome/green finish was also thrown-in for the £37.7.6 asking price (chrome was an optional extra on the smaller X35-0 and side-valve B35-1). The only optional extra on offer was a “Dunlop pillion seat” to replace the carrier. With or without accessories the B35-2 fulfilled its brief perfectly and was a dependable partner for daily duties – compact, lightweight, simple and rugged construction and with a surprisingly sprightly level of performance, it’s hard to think of anything more a 1930s commuter would need. Rather than scouring classifieds, internet auction sites and dealers, Mike placed a wanted advertisement in the VMCC Journal and sure enough the phone rang. “I had two replies to my advert from members, but when I went to see the first bike and saw how good the finish on the frame and tank was, I decided that was the one. 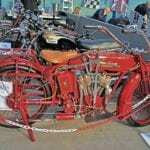 The chap had started restoring it, so most of the big things – the engine, frame and forks, wheels and so on – were all done, he just hadn’t got around to finishing it. “It didn’t have an exhaust, but I managed to source a down pipe and silencer from Armour Motor Products in Bournemouth (www.armoursltd.co.uk) without any trouble – they had them in stock. “It had never been started and when I got it running I could only get two gears, but with a bit of manipulation I managed to get three out of it. 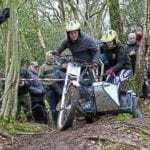 “I thought there was something wrong with the clutch at first, as it’s so light compared to other machines I’ve owned and ridden. Regular readers will know I’m no giant, so I felt instantly at home with the B2’s diminutive dimensions. Incidentally, Mike is a good foot taller than I am so it is testament to the BSA’s ergonomics – and the flexibility of his limbs – that he can get just as comfortable on it as I can. He was right. The B2 took off at a pace I’d not expected from something of this capacity, age and physical size, and despite my somewhat ham-fisted first gearchanges, we were soon up to a comfortable cruising pace. It wasn’t long before I’d got to grips with where the gear lever needed to be to select the appropriate speed – the feather-light clutch helped. Mike was absolutely right, it felt almost like it wasn’t attached to anything – and I could concentrate on the rest of the ride. Not that the little B2 needed many changes, there was more than enough torque from the overhead valve single to pull us both along quite happily in ‘top’ – it was almost as if someone had slipped in an extra 100cc into the barrel without us noticing.